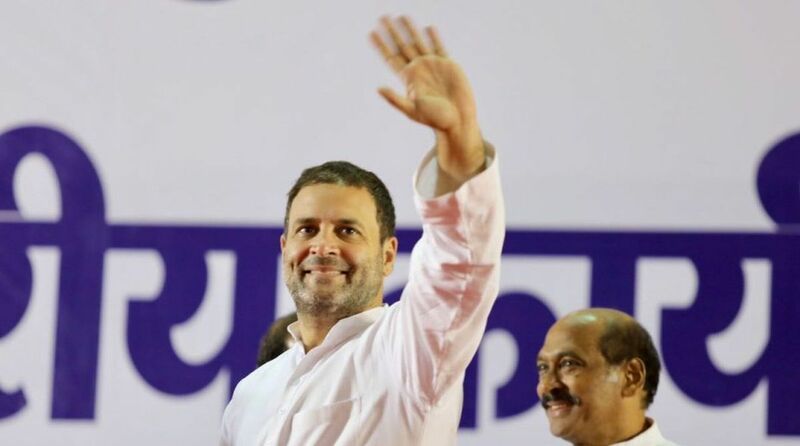 Congress president Rahul Gandhi continued firing barbs at the Bharatiya Janata Party (BJP) over the Dassault Rafale deal on Sunday, two days after he raised serious questions in Parliament on the secrecy pact between India and France. On Sunday, the 48-year-old Gandhi took to Twitter stating that he smelled a scam in the Rafale deal because of Defence Minister Nirmala Sitharaman’s “flip-flops” and Prime Minister Narendra Modi’s “squirming”. “Our Defence Minister said she would, but now she won’t. She flip flops between “it’s-not-a-secret” & “it’s-a-BIG-secret”,” said Gandhi referring to Sitharaman’s 2017 press conference in which she said the Ministry will share pricing details. “The PM squirms when asked about the price of RAFALE and refuses to look me in the eye. Sure smells like a scam. #RAFALEscam,” said Gandhi. During the debate on no-confidence motion in Lok Sabha on Friday, Gandhi had said that French President had told him personally that there was no secret pact between the two governments while Sitharaman said there was. But hours later the French government issued a statement countering his claims. In a statement issued in Paris, the French government said that a security agreement in 2008 legally binds India and France to protect information provided by the other than can impact security and operational capacities of the defence equipment of the two countries. The agreement was signed when the UPA government led by Prime Minister Manmohan Singh was in power. Sitharaman, too, in her defence in Parliament, referred to the agreement. “This was an agreement signed between the two governments on 25 January 2008. Agreement of Secrecy was signed by then defence minister AK Antony,” Sitharaman told the Lok Sabha. “As per the Article 10 of the inter-governmental agreement (IGA) between the government of India and government of France on the purchase of Rafale aircraft the protection of classified information and materials exchanged under IGA shall be governed by the provisions of security agreement signed on 25 January 2008,” Sitharaman said. Following the French government’s clarification, PM Modi berated Gandhi for making careless allegations in the House on the deal forcing both nations to release statements.